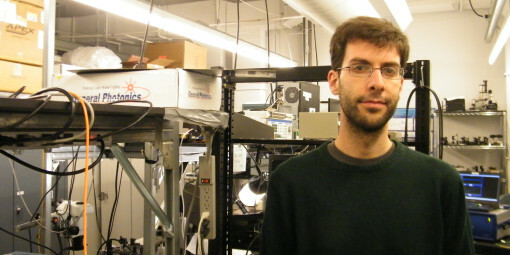 Andrea Rovere started his studies in physics at La Sapienza – University of Rome (Italy) in 2009, and he obtained his Bachelor Degree in December 2012. Then he specialized in condensed matter physics at the same University. Part of the experimental work of his thesis has took place at the National Laboratories of Frascati, under the supervision of the Prof. Stefano Lupi (Department of physics, La Sapienza) and the Dr. Enrica Chiadroni (SPARC-lab, LNF). He achieved the Master Degree in Physics in October 2014, defending an experimental thesis titled “Nonlinear THz Spectroscopy on Topological Insulator”. In March 2015, he started his PhD studies with a co-supervised thesis between Prof. Luca Razzari and Prof. Roberto Morandotti at the INRS-EMT about the characterization and the development of new Plasmonic structures with main properties in the THz range.